FFXIV Guide : How to play well in Parties? Playing in parties is one of the main challenging and interesting points of FFXIV. However, not all players know how to play well in parties. This guide will explain how to play well in parties for different profession. The primary job for a healer is to keep the rest of party members alive. Party may attack the wrong mob, or even get hit so hard they died after a single attack. Healer should immediately raise or resurrect the fallen party member if a party member dies. If you are a Scholar, you should level Conjurer to at least level 34 to get Stoneskin and Cleric Stance as they are valuable tools for any healer. Bard is the closest job acting as support in FFXIV. Bards are one of the best DPS jobs in FFXIV. Also, Bards have the ability to replenish MP or TP to increase the potency of elemental attacks and even increase movement speed. The secondary task for Bards is inflicting damage. Watching MP bars for healers is relatively easy. However, it is more difficult to know hen to use Army’s Paeon for TP, which is based on the length of the current battle and the Bards’s own TP. If your TP goes down, the Monk’s TP is going down, too. Or if you have a Black Mage in the party, use Foe Requiem to boost their elemental damage. Mages should not have to ask for Mage's Ballad, and Black Mages should not have to ask for Fore Requiem. The main job for a tank is to keep all of the enemies attention on yourself and on one else in the party. Your task is to pull all mobs and ensure they just only attack you. Sometimes, two tanks are necessary for a party as the other tank can inflict damage as well. Even there are two tanks, you should maintain hate control when needed. Some tanks may make a mistake that they pull with Provoke which is a tool allowing to take hate from another member. You should not use Provoke except when aother party member has taken hate from you. You should pull with Tomahawk or Shield Lob, which depends on your class. Both of these two skills can generate enmity when doubling as a ranged attack. Provoke does not generate enmity unless you are not at the top of the hate chart. The main task for DPS class is to dish out as much damage as you can and kill the enemies as quickly as you can. If the DPS are not as well geared as you are, you should be higher on the hate chart. If you are better geared than one but lower than another DPS, you probably have a poor rotation. Here I share a few tips for DPS players. Firstly, don’t use your cool downs if there is only one enemy left and it is almost dead. And don’t use damage over time skills when an enemy is almost dead. Cool downs should be used at the start of a battle, especially when there are two or three enemies to face. With your upgrading, this becomes particularly important as enemies dies faster. Using a cool down when the enemy is at 10% health, which means only 10 seconds left on that cool down before the enemy dies. When most cool downs don't last more than 20 or 30 seconds, that's a huge waste. Besides, help the tank out as much as possible. If the tank is numbering mobs, attack the mobs in the correct order, which is easier for the tank to hold hate. If an enemy attacks you at this moment, run over the tank as it is easier for tank to pull the mob and stop attacking the enemy. The longer you attack it, the harder it will be for the tank to pull the enemy off of you. Hope this guide can be helpful for you in FFXIV parties play. 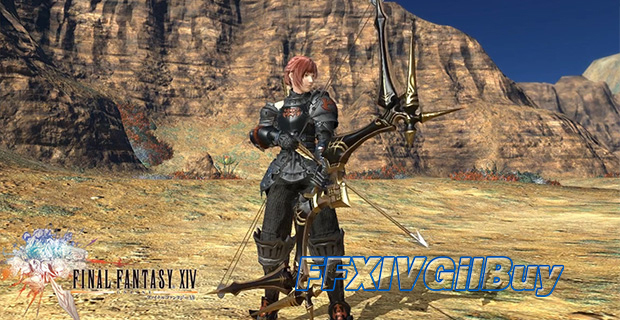 If you want to buy cheap FFXIV Gil, FFXIVGilBuy offers huge stock of FFXIV Gil!